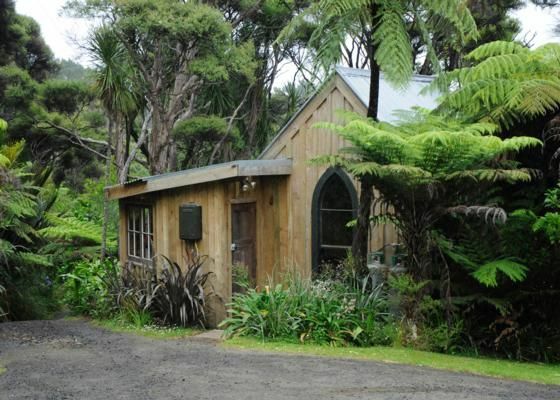 * Te Aute Ridge Cottage is a beautiful eco-friendly, quiet, secluded and comfortable cottage set in stunning Waitakere native bush. * North facing, sheltered from prevailing westerly wind, birds abounding. * 5 minute drive to beautifully rugged Bethells beach, awesome sand dunes, Lake Wainamu, bush and coastal walks. * Self-service continental breakfast provided. * Movies, books, board games, sound system. * Only 35 minutes from central Auckland, yet a world apart. * Nearby attractions include local vineyards and restaurants, golf courses, Waitakere Scenic Tram ride, Arataki Visitors' Centre. I found this cottage to be a much needed respite from the busy world . It was blissfully peaceful and private after spending most of my holiday with family. It is a very unique and special place to rest and recuperate. Thank you to Margaret for being such an excellent host. I highly recommend this beautiful place to anyone needing to escape the stress of modern life. The bed was the most comfortable one I slept in on my entire holiday - and the little touches such as the interesting video selection , the continental breakfast and a well equipped kitchen was a treat. We will be back . Stayed 6 nights in the cottage and really enjoyed the calm, the views and the location which is really close to Te Henga Beach and a lot of nice bush walks. The cottage is fully equipped and provides all the comforts you might require for a longer stay. We had a wonderful time staying at this tiny cottage tucked away in the shady bush. Beautiful Bethells Beach is just around the corner, we went to the Friday night live music session at Bethells Cafe, took a walk to Oneills Bay during the day and watched the sunset in the evening. Highly recommended weekend getaway from Auckland. Serene rustic cabin with amazing rainforest view. I had the right expectations for this place, so it was perfect. The loo is phone-booth sized building outdoors and down several steps. The shower is out on the balcony. If you don't mind dealing with those things in the rain -- and it does rain here -- you'll be fine. The cabin is wonderful, and its layout makes the most of the private view into the bush. Margaret's house and driveway are very close but when you're in the cabin, or on the balcony facing into the bush, you'll think you're far from anywhere. Wifi and cell signals aren't in the cabin but are a short walk away, a nice balance if you intend time off but may need to check in now and then. Very much enjoyed our visit. Loved the rustic cottage and the outdoor shower. Everything was charming. The amenities were well thought out and all as you would want. Some lovely additional touches as well. Pity about the weather however we were warm & comfortable. Due to the isolation of the cottage, wifi is only available outside which presented us with some challenges since it rained for most of our 2-day stay. We would absolutely recommend the cottage as a happy experience. The location is great with the proximity to Bethells Beach and the surrounding bush walks. Margaret is an excellent host.